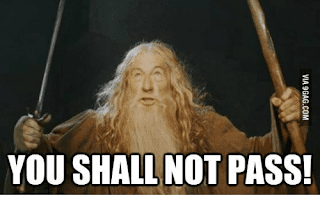 There are kids who love reading because they were just born that way and it would have taken a lot to dissuade them, but there are others who are very much on the fence, and luring them over to our side is a hot topic for parents/teachers/librarians/writers. And personally, sometimes I think we go about it all wrong. Firstly, is it completely necessary to turn every kid into Matilda? I don’t think kids are any more or less interested in books than they’ve ever been. Our need for stories is ancient and it isn’t going anywhere. But there are more story options available to them. Even computer games are stories. Reading books for pleasure is not for everyone, just like maths or cooking or map reading aren’t for everyone, and I think that’s OK. Let them get excited about stories in whatever way they prefer. However, based on my observations of children and vegetables, it seems to me that if you want to get them to read, or encourage them to develop a love of reading, probably the worst thing you can do is make it compulsory or tell them it’s good for them. Write a list of things that are stuffed down kids’ throats (vegetables, school, bedtimes, baths, church, reading), now write a list of the exact opposite of those things. You can title this second list: Things Kids Actually Like. 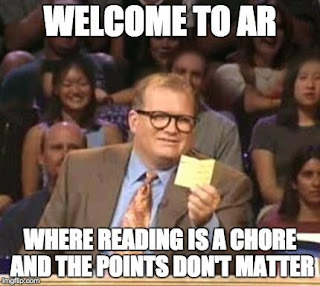 So, instead of making reading appealing, they’ve basically turned it into the hard slog you have to do to get a reward. Is it me, or is that slightly counter-productive? It feels like the message kids are getting is that books are the yukky green stuff they have to tolerate in order to get ice cream. But books are the reward. How do we get them to see it like that? It’s not even that difficult. 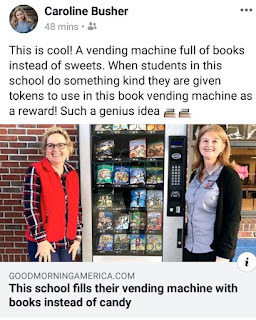 I saw online recently a school that had a vending machine that dispensed books. When the kids did something good they were given tokens for the machine. Books = Reward. Easy. More of this please. I think something that really worked for me was bedtime stories. But I don’t think it was because of the stories. I loved the stories, yes, but what I liked even more, was the undivided attention of my dad. My dad made story time an event, and read whatever I wanted even if it was Chicken Licken for the millionth time. I often wonder (though never say, because parents just love it when non-parents give them parenting advice), when parents complain that their kids don’t read, ‘Do you read?’ And if you do, how often do you read? Do your kids see you read? If you read one biography and a Haynes manual a year you can’t really complain that your kids don’t want to read a dozen chapter books a week after they’ve done their homework. You can’t complain because they want to be in the living room with you, but being in the living room involves watching TV because it’s constantly on and it’s too noisy to read. Some families have movie nights and board game nights. 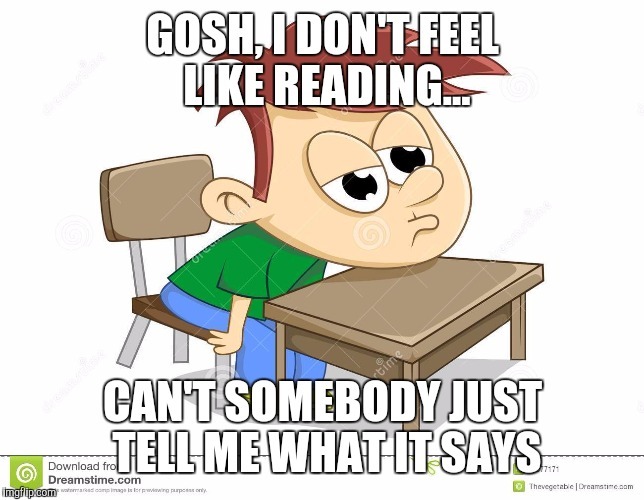 What about reading nights? Do you ever switch off the TV and everyone get out a book? Kids emulate their parents. They want to be like you (when they’re young and still think you’re cool anyway). So be the change you want to see in your family. 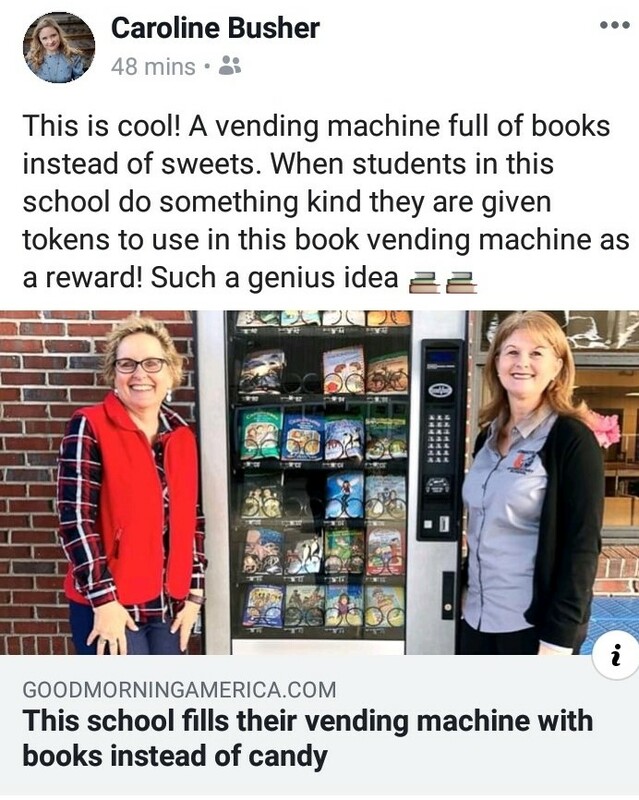 Or, if you want to go to extreme lengths, I recommend locking all the books in a special forbidden cabinet and sending the kids to bed, making sure they know the books will be enjoyed by the adults when they’re safely out of the room. Forbid them. Tell them it’s bad for them. Tell them if you catch them behind the bike sheds with a Roald Dahl you’ll have their hides. Tell them it’s for adults only. Tell them they have to be really really well behaved to get a sniff of a David Walliams. You’ll have them sneaking Anne Frank in no time. Roald Dahl knew this. If asked to describe Matilda you’d probably say ‘Matilda loved to read’ not ‘Matilda wasn’t allowed to read’. But she wasn’t. It was a subversive act, it was rebellion against her parents, and that’s why kids cheered her on. We should know this. We do know this. We know exactly what happens when some religious group bans a book: sales go through the roof. When they’re put on the school curriculum? Everyone hates them. Kids are suspicious of things that are given freely and liberally to them. They know pizza and computer games are rationed but lettuce and books are all-you-can-eat. Did you ever sneak one of your Mum’s Jackie Collins novels? It was probably rubbish but you loved it because you weren’t allowed it. Imagine if it had been Catcher in the Rye hidden in her bedside table. You’d have read that too. My parents were hugely supportive of my reading and provided lots of books but they never pushed me towards it. In fact, they occasionally ordered me to go outside and interact with other humans and they told me off for reading when I should have been asleep hours ago. They even looked at me like I was a bit weird because I’d rather read than play (they still look at me like this. In fact, when I graduated – from an English degree – my mum said she’d considered getting me book tokens but decided I had enough books and got me Top Shop vouchers instead. I exchanged them for book tokens). At no point in my childhood do I remember being told that books were good for me. They were just there, and I was a weirdo for preferring them to anything else. I kinda liked being the weirdo. I saw this on Twitter recently. Genius. In all seriousness, it’s so important that every kid gets the opportunity to become a reader. 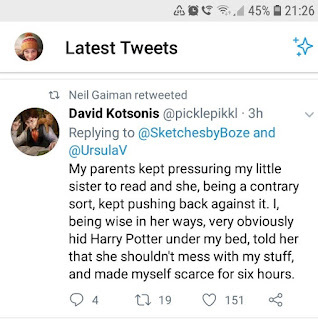 Not least because we know that kids who read books end up having better paid jobs (unless they want to write books, obvs), but I think we need to understand the psychology of the adversary here. 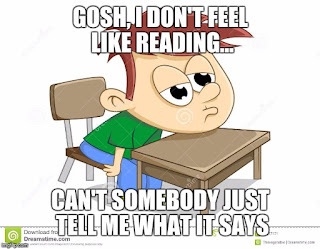 Telling a reluctant reader they should read because it’ll get them a job as a lawyer will not work. Kids don’t want to be lawyers, they want to be ninjas. So put the book on top of the wardrobe and give them some black leggings and a grappling hook. 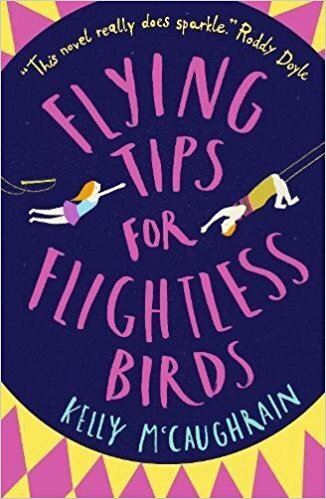 Kelly McCaughrain is the author of the YA novel Flying Tips for Flightless Birds. I could cheer! Absolutely spot on. The reward for reading a lot of books is to have an evening off reading? - Wh-a-at? Honestly, I think educational authorities should employ some dog-trainers to encourage reading. Dog-trainers seem to have a much clearer idea of how to motivate. I have read voraciously all my life and one reason is that my parents read voraciously and obviously couldn't get enough of it. I wanted some of that. My parents also read to us. And although I don't think my parents planned it, I remember distinctly getting the impression that reading 'Tom Sawyer' was forbidden -- partly because it had been placed high in a bookcase. I used to wait until they were in other rooms, drag a chair over, climb up and read as much as I could until I heard them coming back. When my mother caught me, she laughed and said, "Read it if you want!" Oh, and I discovered 'Lady Chatterley's Lover,' wrapped in brown paper and hidden under the sink, so I read that too until I got bored. 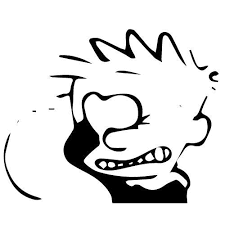 LOL Susan! That's clever parenting. And yeah, Lady Chat was disappointingly dull! I love the idea of locking books away to make them dangerous. Great post. Kelly, you've done it again! You see the problem so clearly and get right to the heart of it. When is your book of "Reading Tips for Limitless Kids" coming out? I'm convinced of what you said at the very beginning - "Our need for stories is ancient and it isn’t going anywhere." Of course children will read IF they find the right story. IF they see the important adults in their lives enjoying books and stories. LOVE the idea of a family reading night. Today we're having a snow day where I live, which means schools are closed, and everyone rushes to the grocery store to lay in gallons of milk and mountains of bread. I went to the library and it was swarming with kids! Looking at books, looking for books, asking the librarian where to get their hands on the books they wanted. Stories aren't going away. You have the BEST posts!! Aw thanks, Marianne, and yay for snow days! Glad your library is thriving. EVERYONE loves stories. 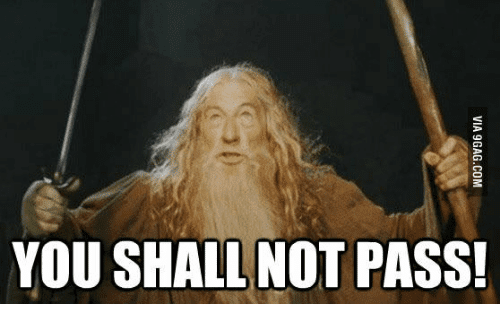 My computer programmer husband was at a training day recently where they basically told them to frame their sales pitches and demos as stories because that's what people respond to.